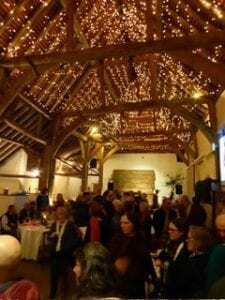 Dinner at Pangdean a fundraising success! On 14 February the Dinner at Pangdean event took place to raise funds for the school and 140 guests attended and enjoyed an evening of Nepalese food and entertainment. An amazing £3,679 was raised! “Guests received a welcome from the Orpheus Young Singers and the Stagecoach Voices. It was wonderful to see young people giving their time to sing in aid of children less fortunate than themselves. 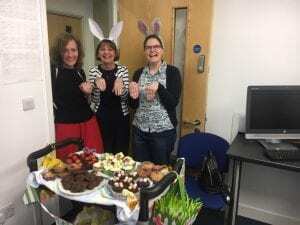 The Easter Bunny visited the University of Brighton’s Falmer campus today with a trolley full of edible goodies. 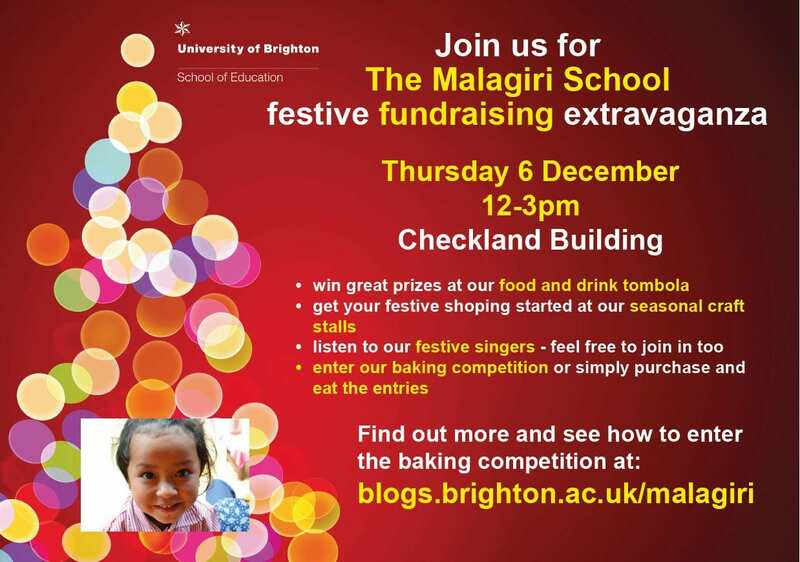 And thanks to the fact that the staff love a mid-morning treat an amazing £212 was raised for the Malagiri School. A huge thanks to everyone who took part but especially to the bakers. A huge thank you to everyone who came along to the sold out Gig for Malagiri on Friday 15 February. We were treated to such an extraordinary wealth of musical talent so an extra special thanks to our bands and performers who were all truly amazing! 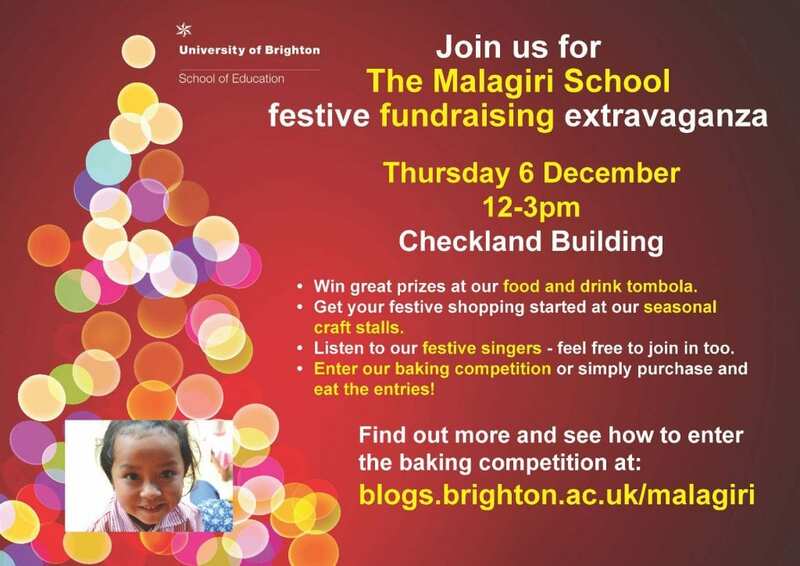 Ahead of this year’s festive fundraising extravaganza for the Malagiri school, Lorraine Harrison, who is a member of the Malagiri school comittee talks about the University’s connection with the charity. You can listen below, or via Apple Podcasts, Google Podcasts and Spotify​ – just search University of Brighton, or a condensed taster of the interview can be found in text form below. 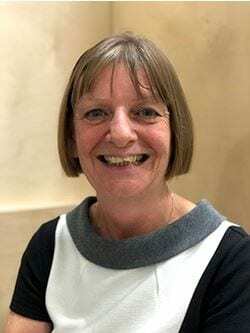 A passion for education – is it fair to say you’ve helped shape the way the School works now? I like to think so. I’ve always had a very deep commitment to education. I wanted to be a teacher from as long as I can remember and influencing education, helping to shape it in a University like ours has been an enormous privilege. Join us on Thursday 6 December 2018 for this year’s festive fundraising extravaganza. Win great prizes at our food and drink tombola. Get your festive shopping started at our seasonal craft stalls. Listen to our festive singers – feel free to join in too. Enter our baking competition or simply purchase and eat the entries. 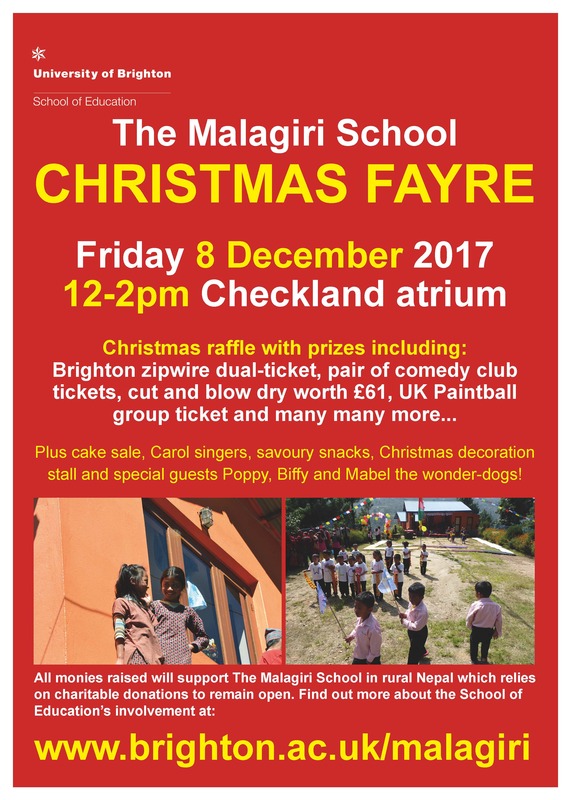 Thank you so much to everyone who made today’s Malagiri Christmas Fayre such a great success. If you didn’t make it to the Christmas Fayre you can still donate to us with JustGiving. For a number of years, the School of Education has supported a small school in a rural village in Nepal. Kevin Fossey, a senior lecturer and former head teacher, who sadly passed away in 2016, initiated the project. As friends and colleagues we wanted to take the opportunity to see the school but to also make a fitting tribute for Kevin. 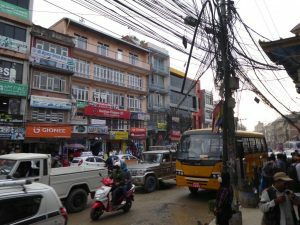 We spent the first few days in Kathmandu. The city is difficult to describe –it is vibrant, polluted, overcrowded, busy, spiritual and exceptionally interesting. special guests Poppy, Biffy and Mabel the wonder-dogs! On Thursday June 1st, a garden party was held at Pangdean Old Barn, on the outskirts of Brighton, to raise funds for The Malagiri School. Complete your email address and we'll let you know each time we post something new!